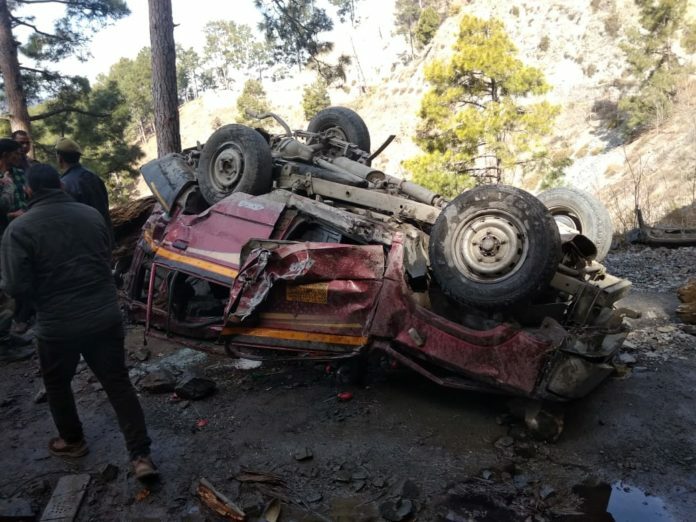 Jammu: Eleven people, including four women and five children, were killed and four others injured when an SUV skidded off a road and fell into a deep gorge in Ramban district of Jammu and Kashmir on Saturday, police said. They said a bus and a mini-bus collided near Thandi Khui in Vijaypur along the Jammu-Pathankot highway in Samba district around 9.30 am, resulting in injuries to nine passengers. Three of the critically injured were rushed to Government Medical College hospital Jammu for specialised treatment, the officials said.